Thursday, Apr. 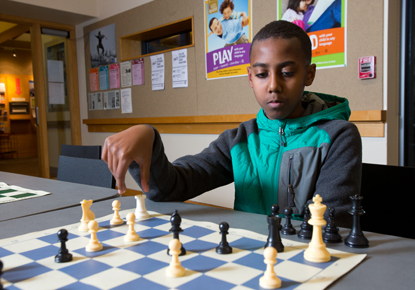 18, 2019, 5:30 – 7:30 p.m.
Come play a game of chess! Children, teens and adults - people of all ages are invited to drop by for fun and casual games of chess. Chess puzzles and basic chess instruction also available.